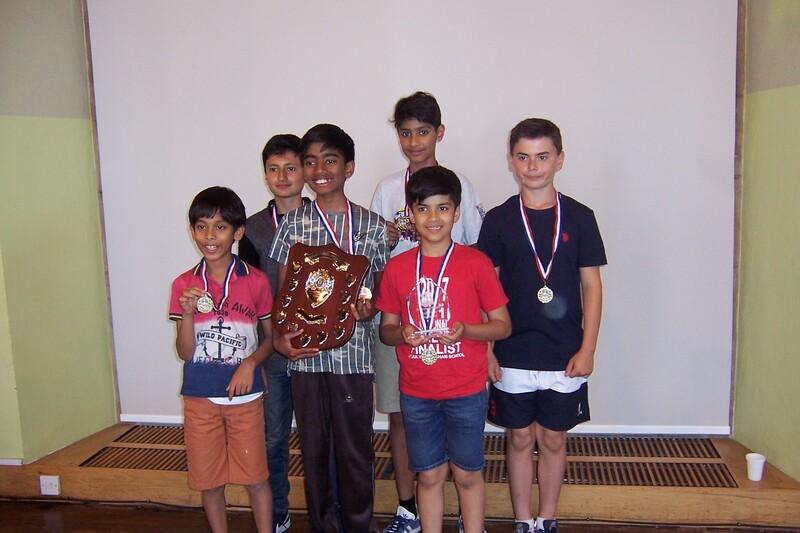 This will be remembered as one of the most closely contested finals since the ECF Schools Under 11 was initiated. 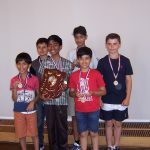 The final result remained unclear until the final match was completed and the winners – Hallfield School – won on tie break from Kings College School. 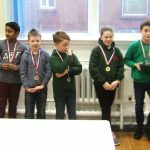 This despite the fact that an excellent Heathside School had lead the field for much of the tournament. 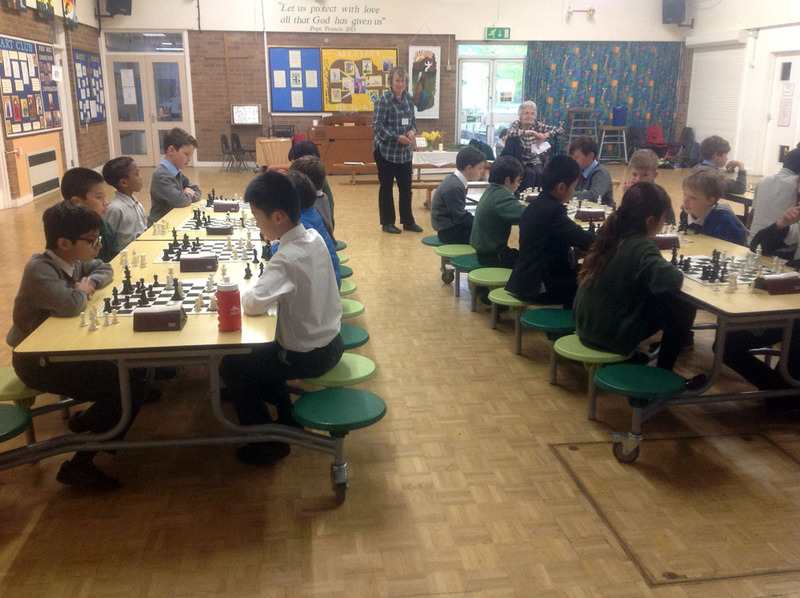 The chess was played in the best spirit of the game and all the children clearly enjoyed the two days of concentrated competition. Thanks go to parents, teachers and coaches for supporting the children. It is good to report that that once again teams from across the country took part including Cardiff and Edinburgh. 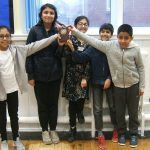 Regional events in Newcastle, Manchester, Oxford, London and South Wales were organised by various schools and individuals, and the competition could not take place without their effort and commitment. In all, some fifty schools participated in the event. Finally, thanks go to Uppingham School for hosting the event. 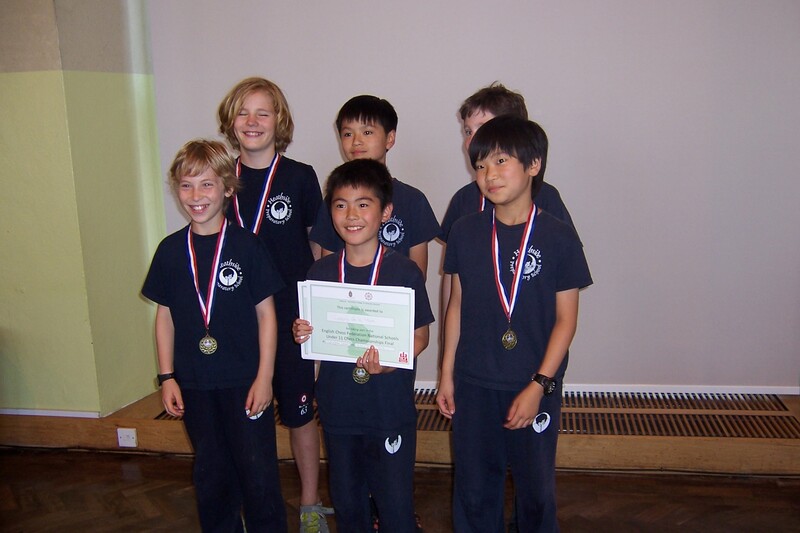 The English Chess Federation National Schools U11 has been running successfully for the last five years. Schools are invited to participate in their regional final. Winners will be invited to Uppingham School in July 2018 for the National Finals. 1) The Championship is open to all schools in England, Scotland, Wales and Northern Ireland. Schools from UK Crown dependencies and British Overseas Territories outside these areas may enter at the Chief Controller’s discretion. 2) Teams are of 6 players. 3) A school may enter any number of teams. Teams will be designated A, B, C and so on. Where teams are not of equal strength the A team must be the strongest, the B team the second strongest, and so on. Children may not play for more than one team in the regional Zone Stage. Each player must be a bona-fide pupil of the school he/she represents in the year of the competition; they will have been on the school roll at least one month prior to the event whether a regional final or the national final. Where a school enters more than one team, then in the National Stage (but not the Zonal Stage) of the competition members of a lower (eg B) team may be promoted to a higher (eg A) team if their original team has been eliminated. Ineligible players will be penalised in accordance with Rule 18. 5) The Championship will be organised in two stages: a one day Zonal stage, and a two day National Final for Zone Champions and runners-up. Dates for all these events are given in the Appendix. Zone Stage Winners will be accorded the title of ECF Regional Champions. The Competition will feature a number of zonal tournaments. Schools may elect to enter any of the zonal events. The zones will be distributed around the country as far as is possible. The zonal events will be organised as Swiss Tournaments. In each case the winner will be invited to participate in the final. Second places will be invited in accordance with 7.II below. Teams will present a team list in board order prior to the beginning of the first round. Board order may not be varied during the event without agreement with the tournament controller. The Board order should be based on grade strength or the best estimate of the same. Any defaulted boards will be on the bottom boards. Players who arrive more than thirty minutes after the clock start will be defaulted. In Regional Finals time controls will be 15 minutes plus 10 second increments. Where there are insufficient digital clocks then the time control will be all moves in 25 minutes. In appropriate cases the regional controller may vary clock times after consultation with the tournament controller. The final will use 50 minutes plus ten second increments for all moves or an appropriate time allowance with increments. 3) Bottom Board elimination in the direct match score. Teams will provide a Manager who will also act as a Board Steward. The decision of the Controller will be final. The National Final will be made up of all the winners from the regional zones. 1) Any regional event with significantly more schools taking part, this at the discretion of the Controller. 2)The second placed teams closest in point count to their zone winners. In the event of winning teams unable to attend the final, the Chief Controller may select further teams on the above basis. The event will be organised as a Swiss Team Tournament. Winners will be decided by highest game points scored. In the event of equal scores the championship will be tied. The final will be played with time controls of 50 minutes plus a ten second increment for all moves. Teams will present their team lists two days prior to the event. Board order will be by grade strength or best estimate. Board order may not be varied except after consultation with the controller. Defaults will be on the bottom boards. The National Final will be played over two days (July 2018) at Uppingham School. Qualifying schools will be sent details. 8) Except as otherwise provided by these Rules, all play in this competition will be in accordance with the FIDE Laws of Chess. 9) Any claim of ineligibility, or other complaint, must be submitted within 24 hours to the Controller, by first-class post or faster method. An appeal against a ruling by the Chief Controller may be made (within 24 hours) to the English Chess Federation’s Director of Junior Chess, whose decision will be final. 10) Any question arising which is not provided for by Rules 1-24 will be referred to the Chief Controller. An appeal against his/her ruling may be made (within 24 hours) to the English Chess Federation’s Director of Junior Chess, whose decision will be final. 11) The FIDE Laws of Chess (July 2017) which regulate the normal game of chess and the E.C.F. Tournament Rules apply except where specifically modified below. 12) Spectators must never interfere. Normally the Arbiter will not intervene, unless invited to do so by one of the two players involved in a game. The Arbiter, however, may point out a flag fall. 13) The Arbiter will decide where the clock is to be placed. 14) An illegal move suffers the normal penalties of the touch-move rule. Such a move is completed once the opponent’s clock has been started. If either player has less than five minutes left on the clock and an illegal move is made, the Arbiter will award the opponent two minutes for the first offence, and two minutes for a second offence. A further offence will lead to the loss of the game. 15). Where games are not played with incremental times, a player may claim a draw during the last two minutes on his clock and before his own flag falls. He should offer a draw to his opponent. If it is refused, he must stop the clocks and summon the Arbiter. The Arbiter may then, or subsequently, declare the game drawn if he is satisfied that the opponent is making no effort to win the game by normal means. Where incremental time controls are used this rule ceases to apply. Guideline III of the FIDE Laws of Chess will apply.